The well documented gentrification of these coastal resorts is very much in evidence - expensive and tantalising organic butchers, delis and antiques shops line the winding route and at the weekends, the village greens and pub car parks are gridlocked with Chelsea tractors. Understandably, local people have been less than thrilled with the luvvie influx which has driven house prices through the roof, but this area remains a charming and now rather hip corner of East Anglia. 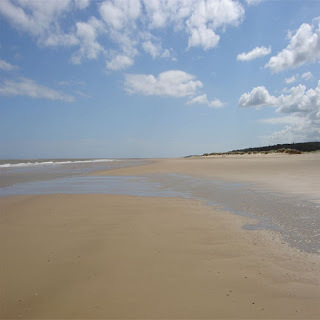 It's at this stage of my journey that the GPS pubs and inns guide kicks into overdrive and I’m totally spoilt for choice with numerous lovely pubs serving up a bevy of local delicacies: Brancaster mussels, Thornham oysters, Blakeney crab, Holkham game and samphire harvested from the marshes. 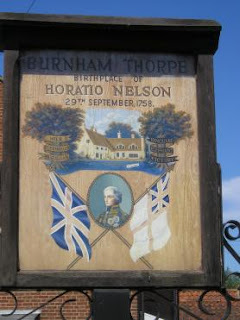 This being Lord Nelson’s birthplace, you can sup on a pint of Nelson’s Revenge at the Carpenter’s Arms in Wells or head to the Lord Nelson pub in Burnham Thorpe, where a tot of Nelson's Blood awaits you (according to the guide ‘a devilish concoction of 100% proof rum and spices’). My favourite though is the Hoste Arms in beautiful Burnham Market where I happily whiled away a few rainy hours this week in one of their sumptuous leather sofas. Just beyond Hunstanton, heading south on the Lynn Road is Heacham, the home of Norfolk Lavender – another Norfolk icon. 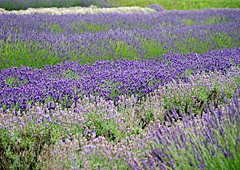 Caley Mill, an old watermill which dates back to 1087, is the Norfolk Lavender HQ, and is surrounded by 100 acres of lavender fields. I wish I could tell you about the heady scent and spectacular purple haze of those fields but unfortunately, I mistimed my visit as the lavender isn’t due to come in to full bloom until early July. Drat! But the gardens surrounding the mill are beautiful and there’s an incredible array of lavender themed goodies in the tea room and shop – from cosmetics and oils to lavender infused ice cream, fudge – even mustard. I couldn't resist the blueberry and lavender jam which I intend to spread liberally over hot toast at breakfast tomorrow.